Our thoughts are with all of those who are affected by the December 2018 federal government shutdown. We have several options for financial assistance available to help those impacted during this time. To apply, please visit a branch or call (808) 587-2700 or toll-free 1 (888) 586-1056. 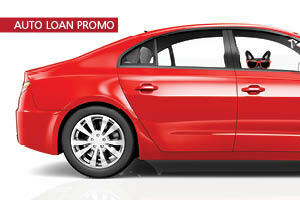 To inquire, please contact Credit Resolution at (808) 447-3380. * The Emergency Fund Loan program features 0% interest rate and no payments for the first 3 months with a subsequent interest rate of 5.00% for the remaining 24 months. The blended APR over the entire 27-month term of the loan is 4.02%. Rates are effective 1/14/2019, and are subject to change without notice. Payment Example: A loan of $1,000 with a 5.00% interest rate will have no payments for the first 3 months and then 24 monthly payments of $43.87, with total interest paid of $52.91. There is no pre-payment penalty. ** For federal government employees, most recent paystubs (December 22, 2018, date or later) to evidence current employment. For non-federal government employees, letter from employer stating there’s a payroll reduction due to federal budget cuts OR sequential paystubs to evidence income before furlough and after furlough and statement from member stating that their income has been reduced due to federal budget cuts.